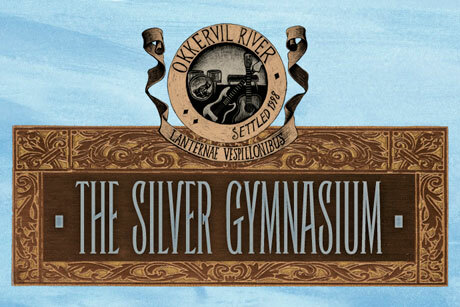 Long-running indie rock outfit Okkervil River have been getting fans to guess their new album name on Twitter by incrementally revealing letters, and now they've finally shared the title: The Silver Gymnasium, which will arrive September 3. If you head to the band's website, you'll see a rather ornate image displaying that title. For the time being, that's all of the information we have, but we can expect details like tracklist and lead single to emerge in the coming weeks and months. We're guessing that the album will arrive via their longtime label home, Jagjaguwar. UPDATE: The album is reportedly due through ATO. As we wait for further album information to emerge, the band have booked a North American fall tour. In addition to a number of U.S. gigs, the band have two Canadian shows: Toronto on September 28 and Vancouver on October 26. See the schedule below.